Before taking the collegiate coaching world by storm, Cantu՛was a successful junior golfer and collegiate golfer. Cantu՛ traveled from her home country of Mexico to compete regularly in TJGT and AJGA events in the United States. In 2005, she captured the Mexican Amateur title and was runner-up in 2006. She was also was a member of the Mexican National team and helped lead the team to victory at the 2007 University Games in Thailand. She remained one of the TJGT’s top players throughout her junior career which led her to being recognized by the Tennessee Volunteers women’s golf team. Cantu՛ accepted a scholarship in Tennessee and packed her bags. During her time at UT, Cantu had one of the most impressive NCAA student-athlete resumes from a TJGT alumni. She was a member of three NCAA Championship teams (2006-07, 2008-09, 2009-10). And according to her biography, “She earned All-SEC and NCAA East All-Region honors as a senior and ranks eighth in UT history in stroke average (76.16) and second in career rounds played (130).” She graduated from Tennessee with a degree in Business Administration and goals of achieving her Masters in Sports Administration at Baylor University, her next stop. After her successful stint in Tennessee, Cantu՛ picked up an assistant coaching job at the University of Baylor in Waco, Texas. She served for three years as one of their top assistants and helped the team make their second NCAA Championship appearance in University history. During her time, the Baylor women’s team honored their first All-American (Hayley Davis) and two All-Big 12 performers: Davis and Chelsey Cothran (also a TJGT alumni). Cantu’s coaching success paved the way to achieve her next goal of becoming a head coach. 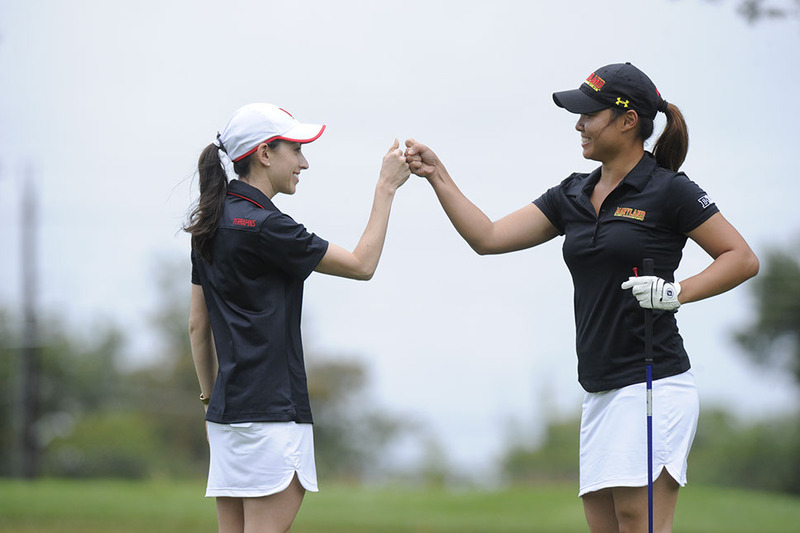 The University of Maryland took note of her abilities and offered her a job as their head women’s golf coach. Cantu՛then moved to the Northeast and currently resides in College Park, Maryland. Follow Diana Cantu’s coaching career by keeping up with the University of Maryland progress this coming Fall!